When you hire Dyan Williams to represent you, expect to get personalized service, tailored solutions, and attention to details that make or break your case. Dyan is the founder of Dyan Williams Law PLLC and is the principal attorney practicing in two areas: immigration law and legal ethics/professional responsibility. 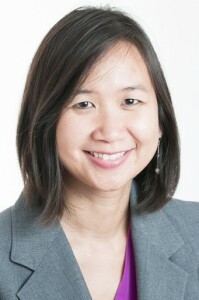 Prior to establishing her own firm in October 2014, Dyan was a managing attorney at a prominent immigration law firm in Minneapolis, Minnesota, for eight years. Dyan also worked as an immigration law clerk for an additional four years, while she pursued her J.D. degree at William Mitchell College of Law in St. Paul, Minnesota. Her top areas of expertise include overcoming immigration marriage fraud findings; obtaining waivers for unlawful presence, misrepresentation and crime-related inadmissibility; challenging expedited removal orders and visa refusals; and getting complex naturalization cases approved. In addition, Dyan has advised solo practitioners and small law firm lawyers on legal ethics and professional responsibility matters since 2006. She is well-versed in ethics issues related to competence, diligence, client communication, advertising, conflicts of interest, and fee agreements. Born and raised in Jamaica, Dyan has a multicultural background and a genuine understanding of one’s desire to study, work and live in the United States. Her maternal and paternal grandparents migrated from mainland China to the island of Jamaica to set up family businesses. Her second-generation immigrant parents encouraged her to have a strong work ethic, pursue her dreams with tenacity, and add value to her community. Dyan arrived in the United States on an F-1 student visa to attend the University of Minnesota, where she obtained her bachelor’s degree, with a double major in journalism & mass communication and political science, and a minor in speech communication. While pursuing her master’s degree in Human Resources & Industrial Relations at the Carlson School of Management, University of Minnesota, she switched to an H-1B temporary worker visa. She later became a lawful permanent resident and then a naturalized U.S. citizen. Before she entered the legal profession, Dyan was a communication consultant at a global human resources consulting firm, Watson Wyatt Worldwide (now Willis Towers Watson). She worked with a wide range of clients — from international corporations to local non-profit organizations — to develop employee communication strategies and materials on organizational change management, training & development, merit-based compensation, benefit plans, and other human resources issues. When advising immigration clients, Dyan draws from her firsthand experience in immigrating to the United States. When counseling lawyers on legal ethics, Dyan applies her direct encounters with ethics issues as a practicing attorney and the founder of her own firm. She leverages her multifaceted background to deliver high-quality service and tailor-made solutions to her clients. She now lives around the Twin Cities area with her husband and their two young children. Certified life coach, yoga teacher and tai chi form instructor, who speaks, writes, and coaches individuals and groups on how to maximize their productivity and live and work purposefully. Presenter of Continuing Legal Education (CLE) courses on legal ethics, law practice management, personal productivity, work/life integration, stress mastery, and other related topics. Juris Doctor degree – William Mitchell College of Law, St. Paul, Minnesota. Dyan was a member of the William Mitchell Law Review, a lead member of the William Mitchell Trial Advocacy Team, and a scholarship recipient for her high academic credentials. Master of Arts degree in Human Resources & Industrial Relations – Curtis L. Carlson School of Management, University of Minnesota. Dyan was awarded a fellowship for her academic achievement. Bachelor of Arts degree in Journalism & Mass Communication and Political Science and a minor in Speech Communication – University of Minnesota. Dyan received five merit-based scholarships from the School of Journalism & Mass Communication for her academic performance and potential for a career in mass communication. The New Lawyer Experience – Maintaining the Work-Life Balance: How Busy Lawyers Stay Sane (as Panelist), Minnesota State Bar Association – January 15, 2010.